In recent releases, we have made several enhancements to make it easy to integrate your Egnyte users with your company’s directory server – AD or Open LDAP. Egnyte lets you set up users and manage all of their passwords within the Egnyte application. For many customers, this is the quickest way to provide secure file access to employees and business partners. However, if you run your own directory service, you can continue to manage all user and password information within this directory service. Egnyte can fully integrate within this directory service to tap into this user information instead of having you recreate all of this information within Egnyte. 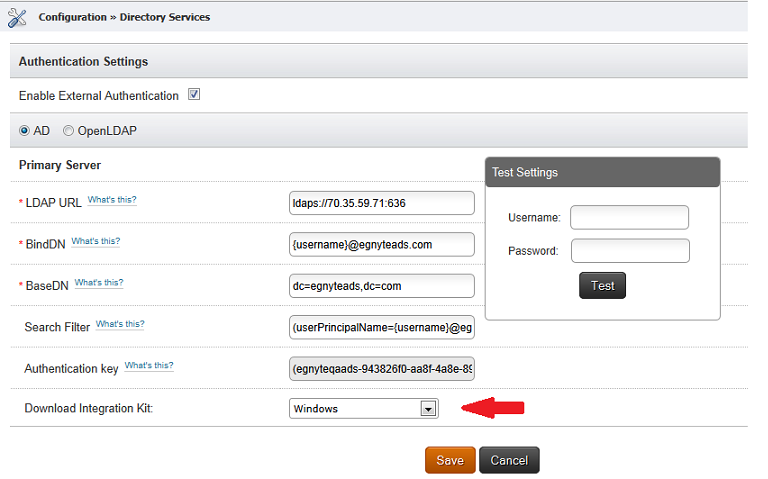 In this release, we enable you to download the Directory Services Integration kit directly from the web interface. The kit can be used to import users from your directory server to Egnyte Cloud File Server. The kit can be downloaded in the Settings tab. You can learn more about our directory services integration here. Integration is available to Company and Corporate plans only.